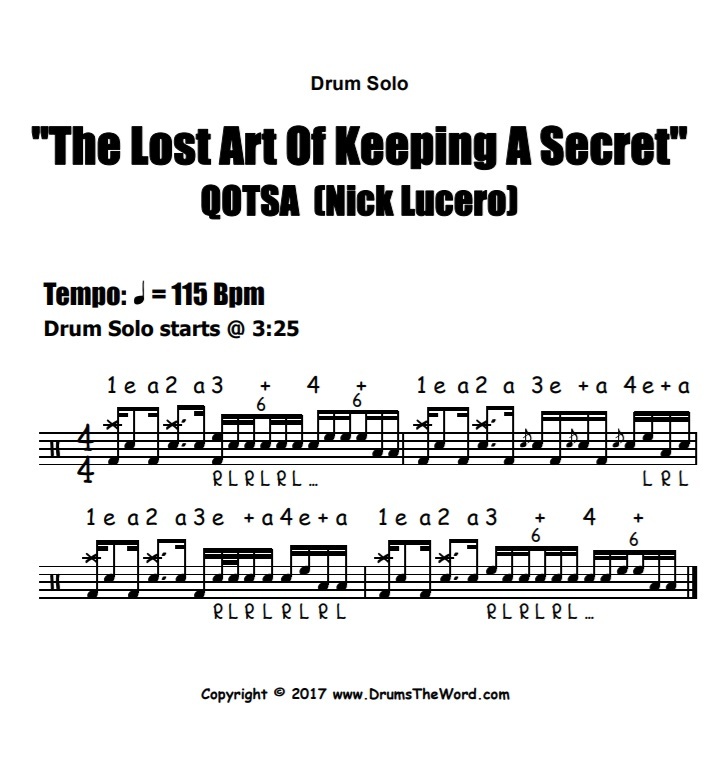 In this free video drum lesson, I want to show you how to play the drum solo that occurs at around 3:25 into the song “The Lost Art Of Keeping A Secret” by Queens Of The Stone Age, featuring the drumming of Nick Lucero. This is a really fun little solo that comes out of nowhere at the end of the tune. The majority of the song is quite simple, so when this solo pops up it’s quite a surprise. 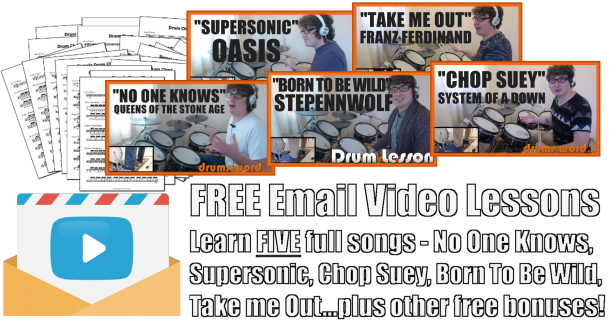 It consists of groups of sixteenths and sixteenth note triplets, and so is a great exercise in learning your subdivisions…as well as being a lot of fun!